A solid and high quality service. Caring, flexible, innovative and personal. We design our service around you; we don’t expect you to fit round us. Mix and match collections from the best corporate suiting suppliers for men and women. Machine washable, stain resistant and hardwearing garments in a large range of sizes. Stylish and practical staff uniforms, workwear, sportswear, and business clothing for men & women from over 100 brands. Supplied in any quantity, plain or with your corporate logo. A superb range of long and short sleeve blouses in a variety of beautiful fabrics and styles, available in slim fit and classic fit options. New colours and styles available. 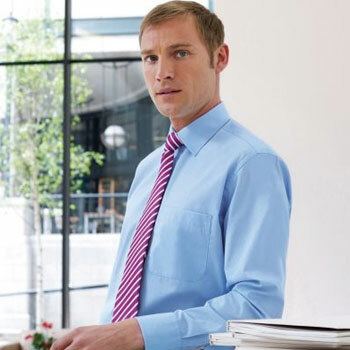 Contemporary easycare business shirts in a range of styles and colours . Available in premium cotton and value ranges, designed specifically for the modern workplace. We manufacture clothing and all kinds of different fabric goods, such as robes, ties, banners, wire badges, fabric printing, heat pressing etc. 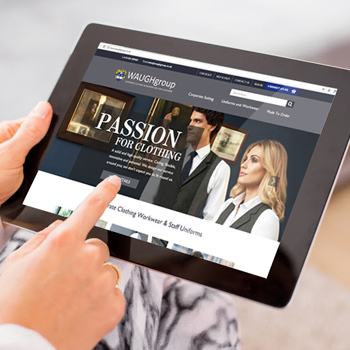 Bespoke web pages designed for use by our customers, offering their suiting and staff uniforms for ordering online and distribution direct to their staff. Details on request. We partner with established brands of suiting and corporate clothing to bring our customers the biggest possible choice of garments from stock. We know our customers on first name terms. Our customers include film and TV companies, universities, local authorities, airlines and corporate businesses, both in the UK & overseas. We have our own graphic designers and inhouse facilities so we can create for you a totally customised look. 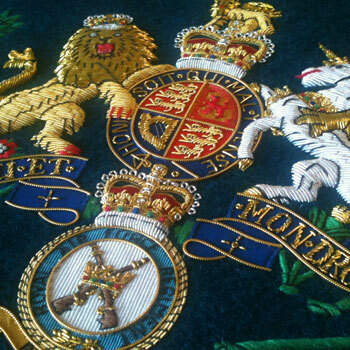 Branding with embroidery, dye sublimation, screen printing are all part of our daily workload. We store uniform stocks for customers in our warehouse; we deliver in bulk on pallets and also in individual named wearer bags to private addresses or places of work. We deliver quickly. If we can’t find it for you we will manufacture it . We print our own fabrics and have our own team of seamstresses and we also import from trusted suppliers around the world. Innovation and the manufacturing of fabric based products is what we enjoy. If you have a new product of some kind and need an open minded cutting edge supplier give us a call. With over twenty years experience the WAUGHgroup are one of the UK’s leading independent suppliers of corporate clothing. We are a one stop shop for all uniforms and other related textile goods. We distribute clothing from over 100 top brands and in addition supply bespoke clothing made by us and trusted overseas subcontractors. Our customers include not only some of the largest corporate organisations but also leading film and TV companies, airlines and entertainment businesses. We deliver practical, cost effective clothing solutions.